Nemetschek Vectorworks, Inc., is a wholly owned subsidiary of European software giant the Nemetschek Group. A global leader in design technologies, Nemetschek Vectorworks has been developing computer-aided design (CAD) software for the architecture, engineering, construction, entertainment, and landscape design industries since 1985. The Vectorworks® product line is one of the world's best-selling cross-platform CAD applications and has won many industry awards. The Nemetschek Vectorworks family of software includes Vectorworks Designer, Architect, Landmark, Spotlight, Fundamentals, and Renderworks®. With the spring 2000 merger of Diehl Graphsoft, Inc. and the Nemetschek Group of Munich, Germany, into Nemetschek Vectorworks, Inc., the company became the Nemetschek Group's largest U.S. subsidiary, joining the parent company's network of more than 40 branches and subsidiaries throughout Europe. Sean Flaherty, the CEO of Nemetschek Vectorworks, has focused the company on establishing global market leadership. That agenda involves development of new products, entrance into new markets, and expansion into service areas once not considered as viable options. Another outstanding feature of Nemetschek Vectorworks' corporate identity is what Macworld magazine called its "nearly fanatical devotion to responsiveness to customers." The company's hands-on training seminars and self-guided training options provide users with a variety of learning tools for the software. The company has also helped third-party developers create Vectorworks-specific products. More than 450,000 designers rely on Vectorworks technology. They include world-renowned architects, prestigious landscape architects, award-winning entertainment designers, innovative product designers, and many more. Each day, Vectorworks products are put to work in more than 85 countries in ten languages. Besides English, Vectorworks products are currently available in Chinese, Japanese, German, French, Dutch, Italian, Spanish, Portuguese, and Norwegian. Nemetschek Vectorworks has had increasing success over the past 25+ years. The newest upgrade to the Vectorworks family of software, the Vectorworks 2014 product line, was released in September 2013. Nemetschek Vectorworks, Inc., a provider of CAD and Building Information Modeling (BIM) software solutions that enable designers to easily, accurately, and efficiently capture their ideas, develop them, and communicate them, is pleased to announce the release of the 2014 version of its award-winning Vectorworks® line of design software, including: Vectorworks Designer, Architect, Landmark, Spotlight, Fundamentals and Renderworks®. This release includes several key improvements to Vectorworks’ already robust 3D modeling capabilities. Built on the industry’s leading modeling kernel, Parasolid®, Vectorworks 2014 offers persistent rendered 3D navigation to provide designers with the ability to easily switch between 3D and rotated Top/Plan views; enhanced walkthrough capabilities, making walkthroughs in OpenGL faster than ever; and the new twist and taper tools that enable users to twist entire solids, solid faces, or NURBS surfaces, as well as taper the faces of 3D objects in a single snap. In addition, the new 3D X-ray Select (patent pending) allows users to temporarily see through solid objects in the area around the cursor. The space, stair, window, door and roof objects have undergone several customer-driven improvements, including performance enhancements. Examples include space creation and manipulation, hidden line rendering, OpenGL rendered workflows and the ability to create and edit section viewports from the interactive Clip Cube. The Auto Hybrid object, which provides an easy way to turn arbitrary 3D geometry into a hybrid BIM object with both 3D geometry and a 2D plan, has received performance and display improvements that improve selection, editing and document size. Developed specifically for landscape architects and designers, Vectorworks 2014’s new site design capabilities include enhancements to plant shadows, making it faster and easier to create presentation-level site plans with interactive shadows. In addition, massing model improvements allow site designers to add and report the programmatic uses for building massing models on a floor-by-floor basis, and there is a new option to suppress the location adjustment for georeferenced data. The Vectorworks Architect product was certified by buildingSMART International for the BIM data exchange standard IFC 2x3 Coordination View 2.0 for IFC Export in June 2013. Since then, continued improvements to Vectorworks’ IFC capabilities have included new IFC worksheet functions, support for IFC zones and IFCXML import/export support. Additionally, users can now directly reference 2D and 3D DWG/DXF or DWF files in Vectorworks projects, making collaboration and team workflows simpler. Also, this release offers better support for complex line types, named colors and mapped fonts for text objects in DXF/DWG/DWF, as well as support of SQLite in ODBC. There are several designer-requested usability improvements. One example is the Publish command, which is a one-stop-shop for exporting and printing construction drawings. Other usability enhancements include support for cropping bitmaps, improvements to visibility, reshape, and dimension tools, and an improved keynote legend object. Additional improvements include Select similar by Plane, preview in Mirror tool, font preview in Format Text dialog and a Simplify Polys command. Our integrated rendering application, Renderworks, has a new displacement mapping option that provides the ability to make realistic renderings with materials like grass, carpet, water, bricks or stone. There is also additional support for images in brick shaders. A visualization engine with fast interactive rendering has also been implemented. 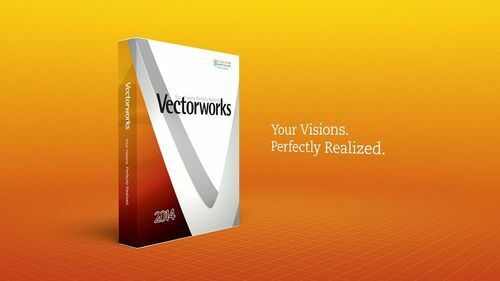 This visualization engine, the Vectorworks Graphics Module, is a modular rendering system that provides a modern visualization infrastructure across the product line. It allows designers to work in a rendered mode with support for selecting and snapping non-occluded objects. This feature also includes the patent pending X-ray Select technology that allows designers to work with the occluded objects when needed. Vectorworks 2014 is fully compatible with OSX Mavericks and also offers the Python 3 programming environment, with its thousands of libraries to efficiently develop scripts. This modern, popular scripting language has a large user base of students, academics and professionals around the world, and now, Vectorworks developers can create document scripts, as well as external plug-in parametric objects, tools and commands. Exciting new features for Vectorworks Cloud Services and mobile solutions are in the pipeline. In the near future, Vectorworks Cloud Services will be compatible with well-known storage solutions, and the mobile application, Vectorworks Nomad, will support better user interactions for measurement. Plus, there will be support for Vectorworks 2014 in Vectorworks Cloud Services and iOS7 support in Vectorworks Nomad. 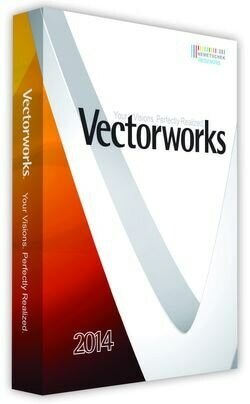 Thinking of upgrading from Vectorworks 2010, 2011, or 2012? Not sure what is in it for you? Lost track of how far we've evolved?